The plains bison is the largest land mammal in North America and at one time there were millions of them. Currently the largest herd is at the Yellowstone National Park. 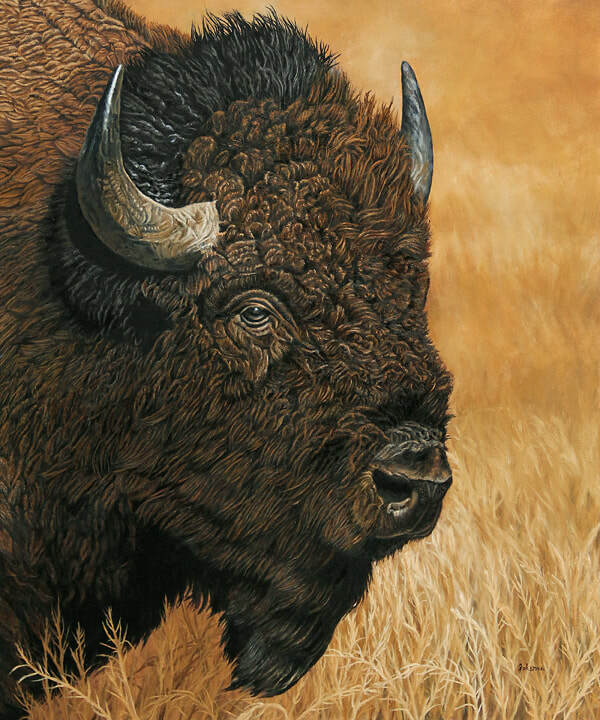 In this painting I wanted to depict the strength and perseverance that the majestic animals have.